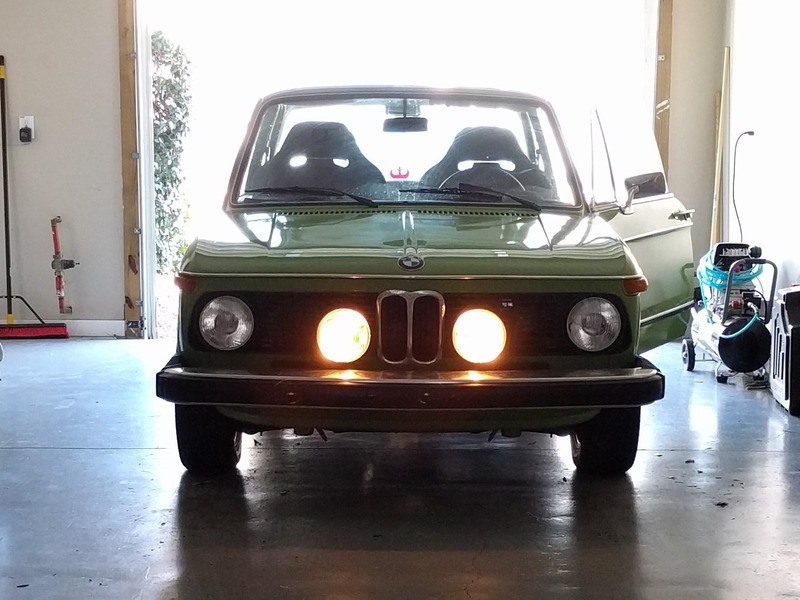 Meet Asterix, my 'keeper' 1975 Mintgrün 2002! 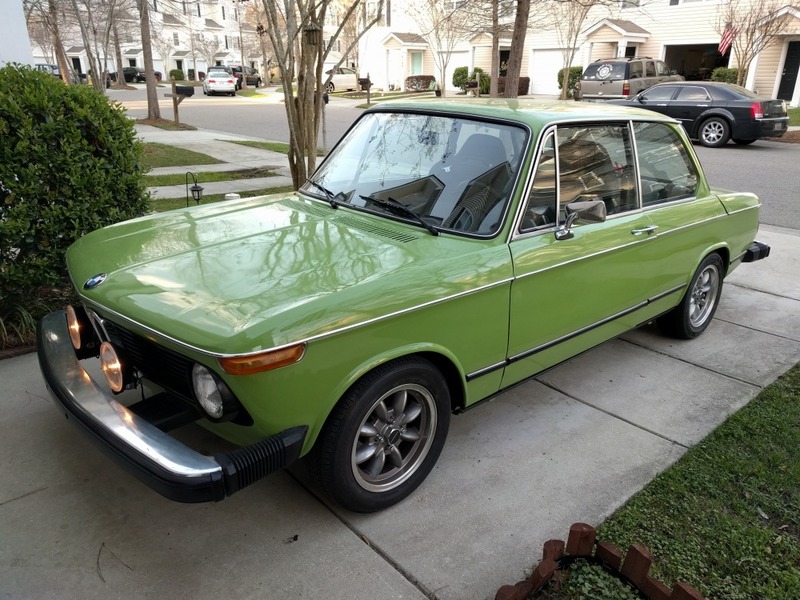 This is actually my 3rd 2002, I had a rust-bucket '76 in college as my 'learner' car and a brief stint with a rough '74 with some racing aspirations, but both were sold to acquire this rust-free '75 as my 'forever' 2002! Though I don't drive him daily (I now need the E39 with working A/C for chaperoning the two kids in car seats around most days), I built Asterix with the intent of making him the most useable, just-hop-in-and-have-fun-driving-for-any-occasion 2002 that I could. 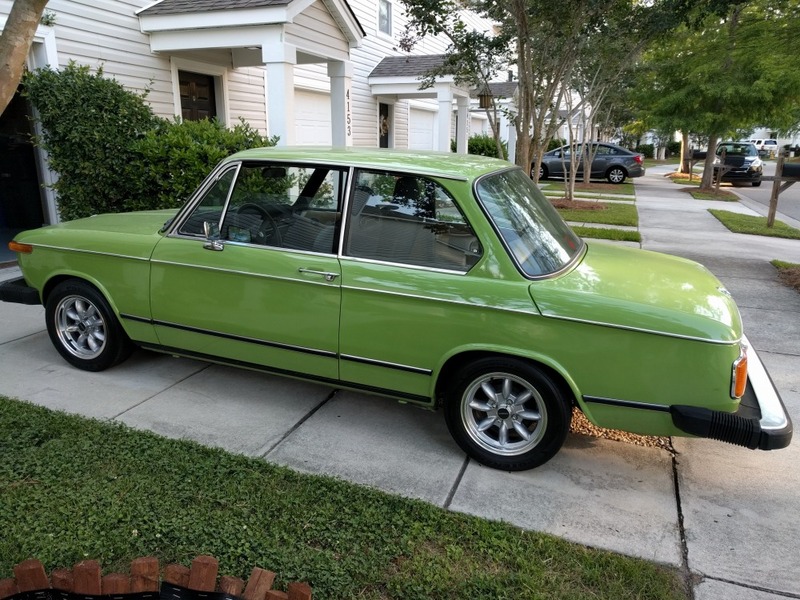 Much of this goal spawns from having the '76 911 project car with my dad in high school. While that care was an absolute blast to drive, it was much more temperamental, more difficult to keep road worthy (and repair roadside), and all in all just harder to relax and enjoy driving because of its quirks. For this reason, I actually prefer 2002s to their contemporary 911s and especially with (easier and cheaper) modifications, I'm never nervous that Asterix will leave me stranded. And even when he does have occasional hiccups while out and about, I'm supremely confident that I can always find a way with limited tools to get him back home again. So on to the details! 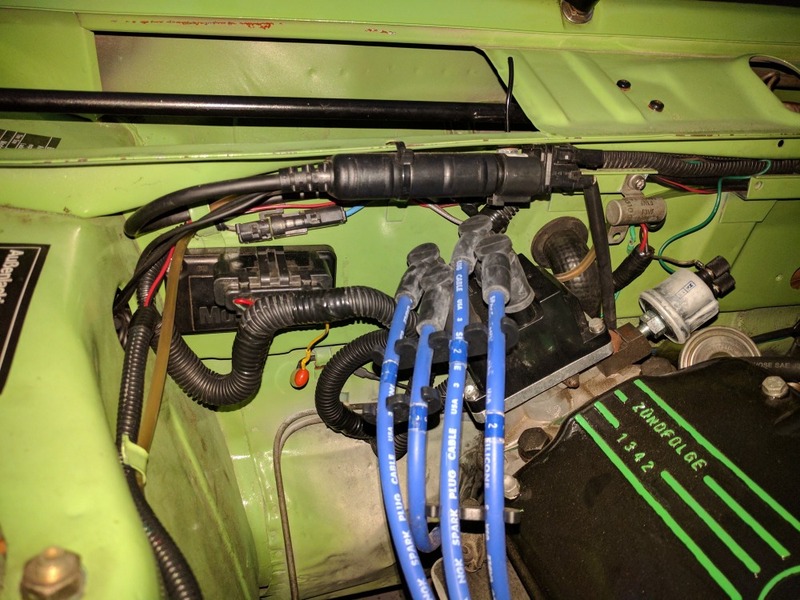 I absolutely LOVE Megasquirt setup and am very happy with how I paired it with the 318 manifold and the 284 cam. 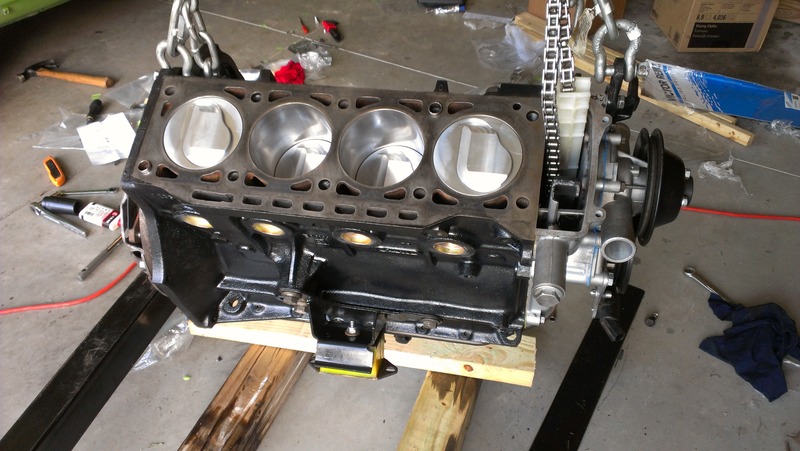 It starts immediately no matter the temperature, a smooth idle, and a wonderful, fat, flat torque curve. 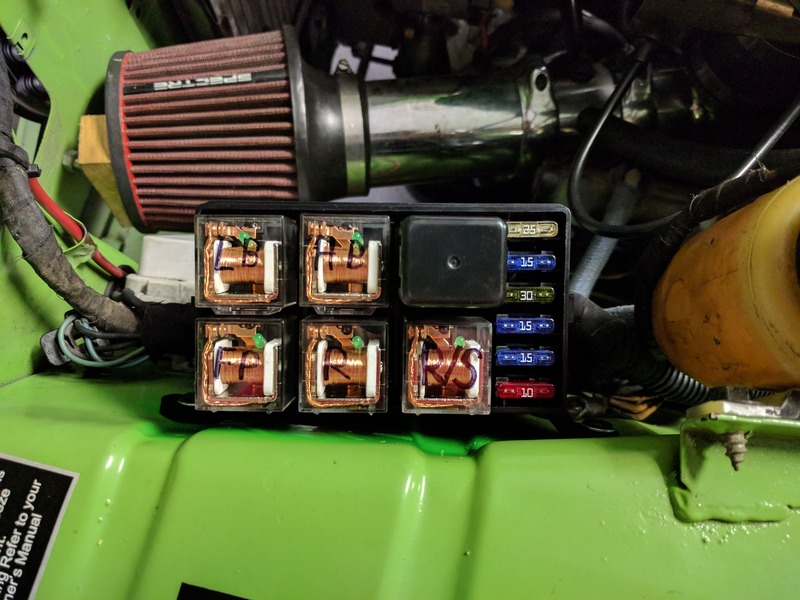 I pride myself in the clean installation that I've accomplished and while a never ending quest for perfection, the tuning is fun and dialed in very nicely now. 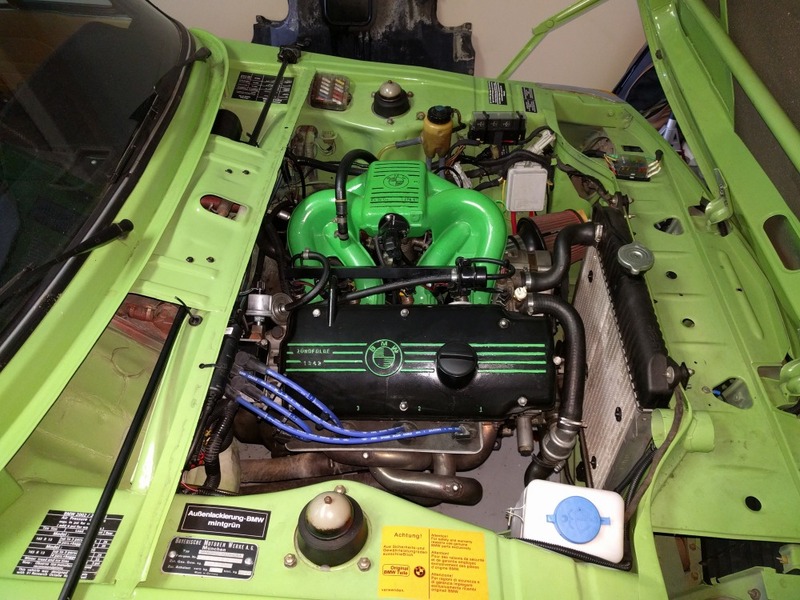 While it my green manifold probably isn't to everyone's liking and it would be fair to call it a bit garish, I don't care, it's my car, I like it, and I'm keeping it! I was fortunate enough to inherit both a Getrag 240 5-speed and a 3.91 LSD from the previous owner, both in fine shape. These are two of my favorite upgrades for 2002s. 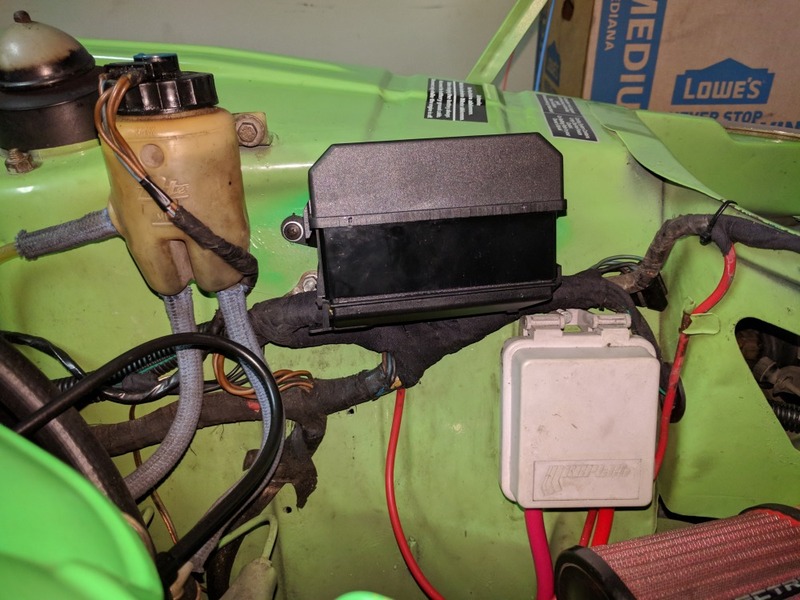 Though they are both getting pricey these days, the LSD is basically necessary for controlling the rear end on any slippery surface and whenever really putting some power down in a corner. And anymore I think blasting down the interstate would be all but unbearable without the overdrive. I found Bilstein Sport shocks to be way, way to firm for my liking, so I run Bilstein HD shocks together with H&R sport springs, all finished off with Ireland Engineer's wonderful stabilizer bars. While I went with the larger 320 rear wheel cylinders, my brakes are otherwise stock. I find the stock setup to be quite capable, and rarely have any issues with fade even when playing around on mountain roads or autocross events. One day I might want vented rotors, but I'm not really in a hurry. - Original beat up aluminum beltline trim replaced with much less expensive 3M chrome strips. - I've retained the chunky 12MPH bumpers because, frankly, they work! They don't look the best, but when I'm out have the car parked somewhere, I like knowing the extra bit of protection they afford. 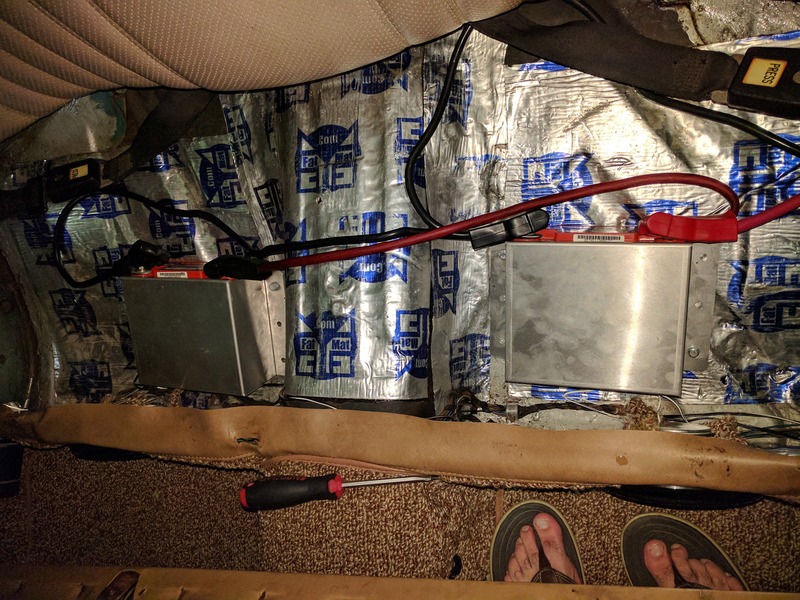 I went through the process of removing the original sound deadening material, sealing the floors with POR15, and putting down some FatMat material. I also put in new carpets, but they're already a bit worn and at the time I did not know about Esty's carpets and intend to one day replace them again with one of her wonderful sets. The front seats are cheap Japanese knock-offs of Recaros, but they look fine and are quite comfortable, so I'm quite happy with them. 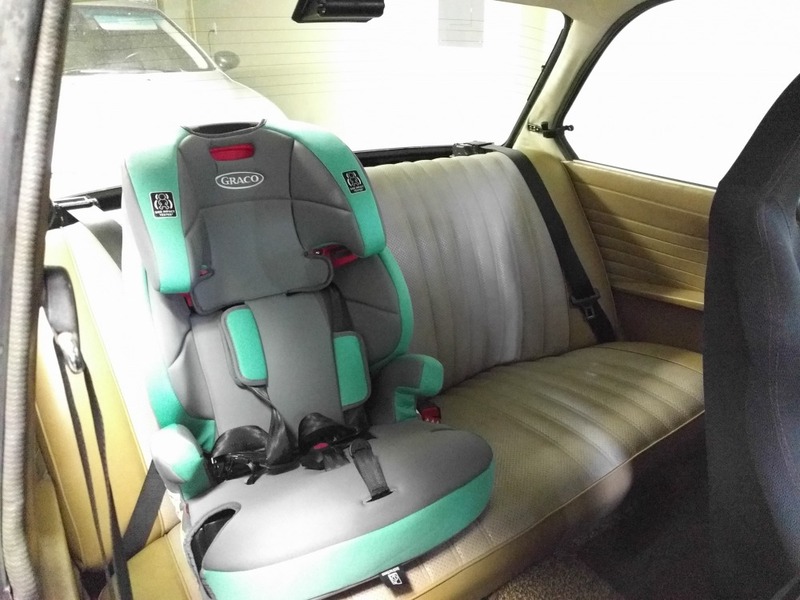 The rear seat is stock, though I have recently added 3-point shoulder belts from Bluedevils now that I have kids who may ride back there from time to time. Up front I've done some more fun stuff with the dashboard. 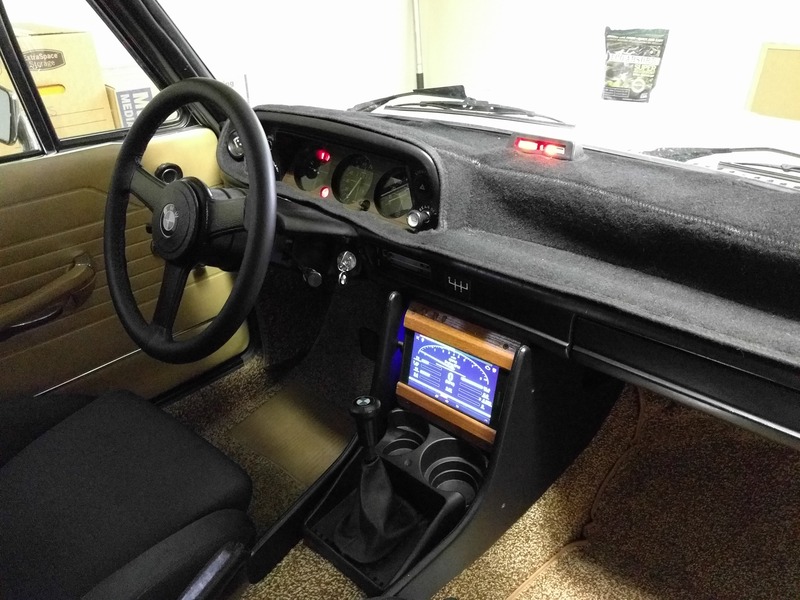 I have added a VDO oil pressure gauge in the small pocket to the left of the instrument cluster, I have little LED bargraphs for voltage and AFR now built into the 'Fasten Seatbelts' pod in the middle of the dash, and my pride and joy is my center console, which includes cup holders and a small Android tablet that I use for music and Megasquirt tuning via Shadowdash! So that's it, my car Asterix in a nutshell, I hope you can get as much joy out of your 2002 as he has given me!